Question: What was the best part of your summers growing up? Answer: Of course, cannon balls in the pool, baby! That's why uncontrollable jealousy always washed over me as I sat in the Sea World arena getting drenched. 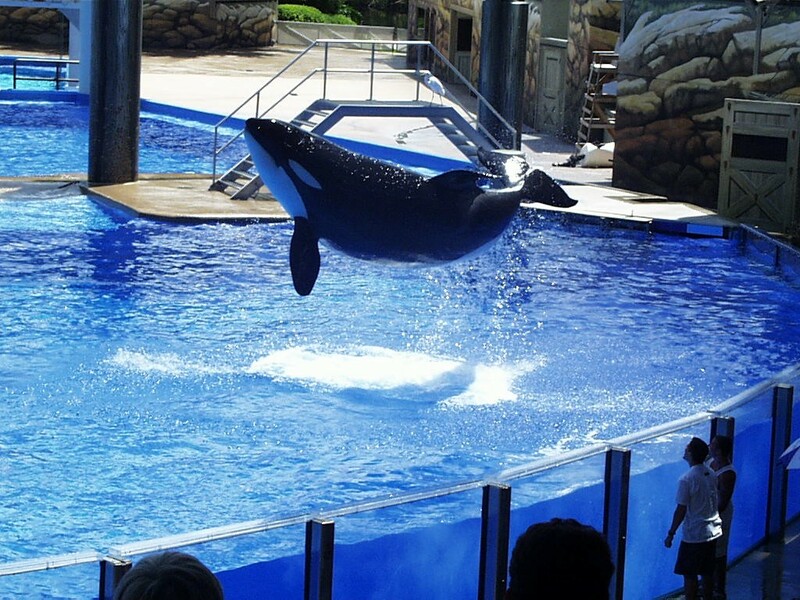 Shamu gets to make the big bucks performing hundreds of big splashes a day in front of adoring crowds. Unfair! I feel as though I've sacrificed most of my days and I am nowhere near the life of opulence that that spoiled killer whale enjoys. What has Shamu ever had to sacrifice? That's why I'm gunning for "Sham"u's splashy throne. But where can one train to make big splashes in front of enthusiastic crowds? Well, at The Perilous Plunge taking place Saturday March 5 at 11 a.m. at the foot of F Street in Eureka, of course! Come down and watch as costumed community members laugh in the face of hypothermia and make Shamu-esque splashes in Humboldt Bay to raise money for the Discovery Museum and its important work with local children. After their plunge, much like Shamu, wet Humboldtians get to enjoy a soak in a hot tub, heated changing rooms, a long sleeved Plunge 2011 T-shirt, tri-tip lunch and Bloody Marys. Also this year, the Discovery Museum hosts a tropical-themed Beach Party on Friday, March 4 at 6 p.m. -- not on some cold Humboldt beach but in the museum. They'll have live and silent auctions, food, "Plunge Punch," and other beverages provided by Lost Coast Brewery. Tickets are $40. Attendees should be sure to wear their beach attire. Or else. Not a wuss? Wanna show up Shamu? Check out discovery-museum.org or call 443-9694 for more info.